A unique product with harmonious packaging that self-represents the product and introduces itself. 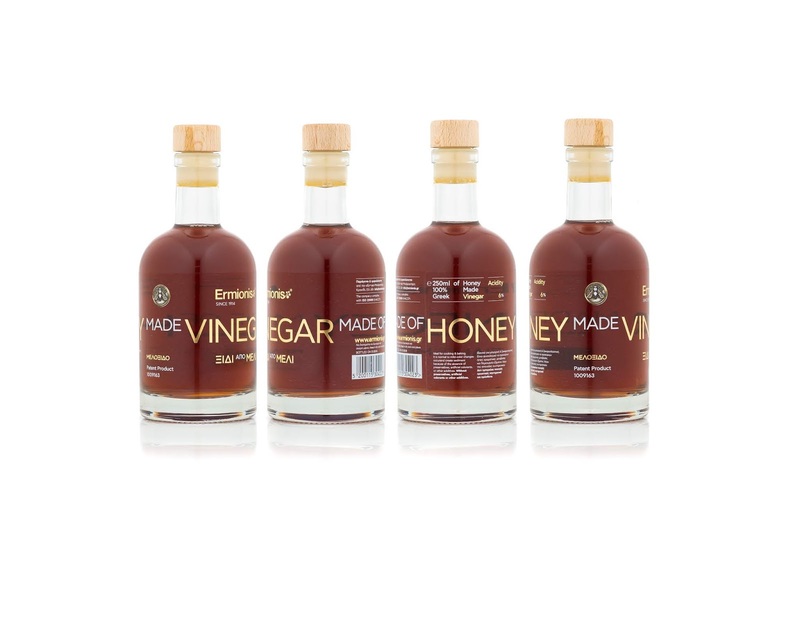 The package design and interaction with the typography directly resembles the actual production process. 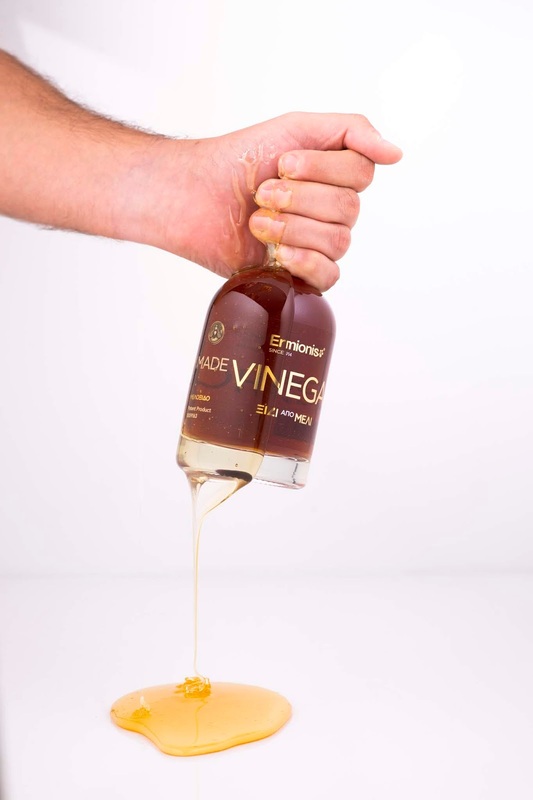 This vinegar product is exclusively made of honey and bee wax through a fermentation process incubated in wooden barrels in a circular motion. Similarly, the typography wraps around the cylindrical bottle and can be read in infinite circular motions promoting the explanation, as well as the contents of the bottle. 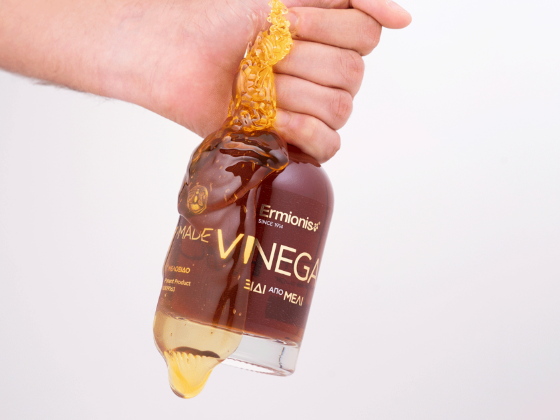 The way that we approach the design that reflects the producing of the vinegar. The packaging have not front side.